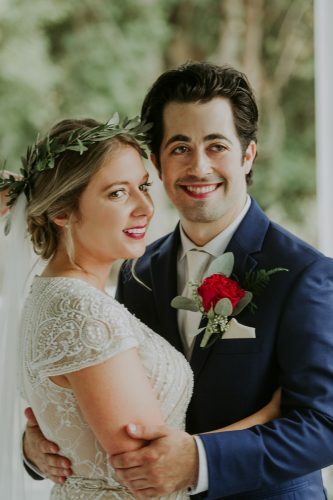 Laura Elaine Hill and Tyler John Antill were united in marriage on July 14, 2018 at St. Bernard’s Catholic Church in Beverly. The double-ring ceremony was officiated by Father Tim Kozak and Karl Kesselring. 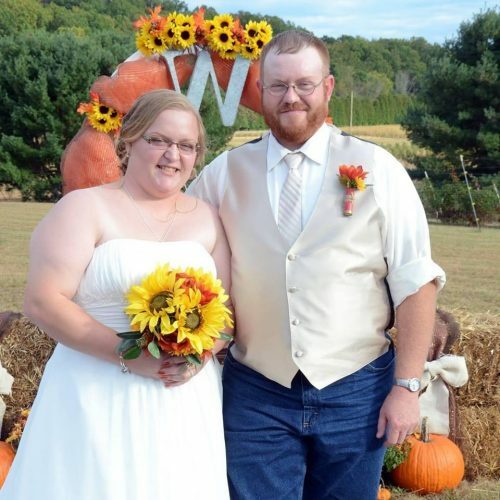 The bride is the daughter of Dale and Susan Hill of Waterford. She is the granddaughter of Albert and Donna Hill of Waterford and Robert and Susan Almond of Belpre and the late R. Eugene Sullivan. The groom is the son of Greg and Carol Antill of Marietta. He is the grandson of Sally Antill and the late Gilbert Antill, Betty Gillon and the late Richard Gillon of Marietta. The bride was escorted by her father and wore an off-white strapless mermaid gown with lacing up the back and featured organdy and lace overlay on the skirt and train. She wore a fingertip two-tiered veil with pearls around the edge and she wore burgundy converse shoes. She wore her mother’s pearl necklace and earrings. 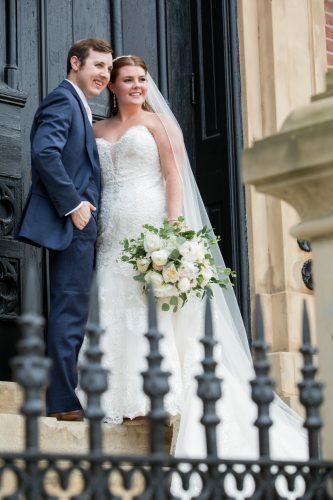 Her bouquet featured blush and burgundy dahlias, white and pink ranunculus, hypericum berries, white limonium, baby’s breath and the stems were hand tied with burgundy ribbon. Her hair was done by Sarrah Paxton, Main Street Styles in Waterford and her makeup by Hannah Harrison. Maid of honor was Sarah Hill, sister of the bride from Waterford. Bridesmaids were Tara Glaze from Lancaster, Brianna Mayre from Bethesda, Chloe Brandewie from Springfield and Breanna Bailey from Long Bottom, all college friends of the bride. All wore floor length burgundy gowns and carried bouquets made with a burgundy dahlia surrounded by baby’s breath and wrapped with burgundy ribbon. All wore matching gray converse shoes. 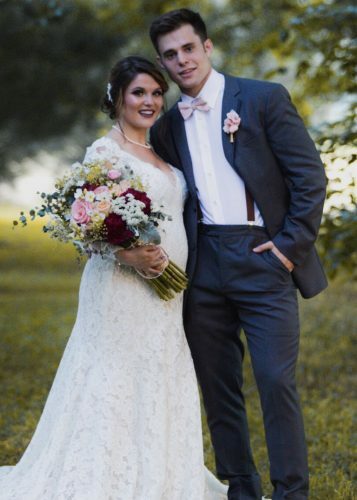 The flower girl was Kenadee Antill, niece of the groom and she wore an ivory sundress with burgundy ribbon at the waist made by the bride’s mother. Her Converse shoes matched the bride’s. The bridal bouquets and boutonnieres were designed by A Unique Flower and Gift Shop. 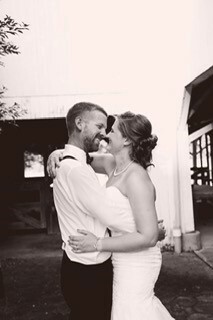 The groom wore a black tuxedo and vest with burgundy suspenders and a photo pendant of his grandfather Gillon pinned to his shirt, a gift from the bride. The best man was Eric Zimmer from Marietta, friend of the groom. The groomsmen were Rusty Antill from Beverly and Kyle Antill from Vincent, brothers of the groom, Austin McVicar from Vincent and Austin Bauerbach from Waterford, both friends of the groom. All wore black tuxedos with burgundy vests and matching suspenders, gifts from the groom. The ring bearer was Brayden Thomas, cousin of the bride. He rode down the aisle in his dad’s Radio flyer wagon pulled by Maddox Antill. Morgan Antill (niece of the groom) registered guests, Mason and Maddox Antill (nephews of the groom) and Travis Huck (friend of the groom) seated guests before the ceremony. Shirley Doak was the organist. The reception was held at the Barlow Fairgrounds. The 3-tier wedding cake was made by Pam Sullivan (the bride’s aunt) and the wedding cupcakes were made by Beth Hill (also the bride’s aunt) and cousin Katrina Ford. The appetizers were prepared and served by family and close friends of the bride. The meal was prepared and served by Vesta Hall and friends. Premier Productions LLC from Beverly provided the DJ for the evening. The rehearsal dinner was hosted by the groom’s parents and was held at the home of friends, Al and Jeannie Miller. 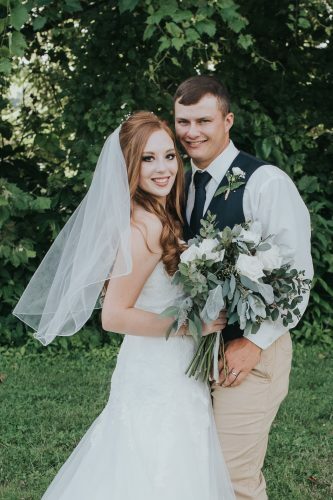 The bride is a 2014 graduate of Waterford High School and a 2018 graduate of Muskingum University. She earned her BSN, RN and is in the Nurse Residency program at the Ohio State University, James Cancer Center in Columbus. 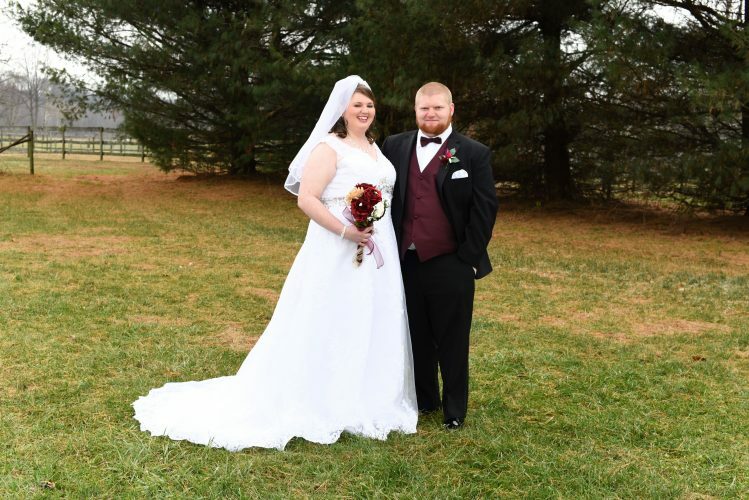 The groom is a 2013 graduate of Marietta High School and a graduate of Hocking College with a certificate in landscape management. He is currently employed at Five Seasons Landscaping in Reynoldsburg. Following a honeymoon trip to Lake Tahoe, Nevada and California the couple resides in Blacklick.